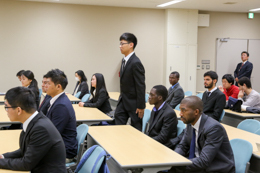 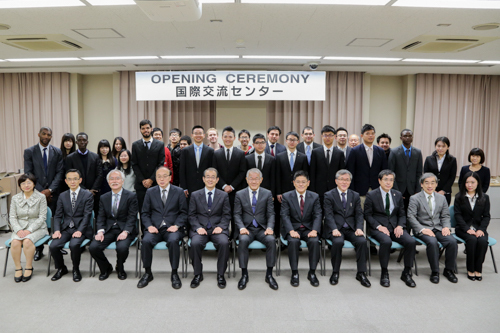 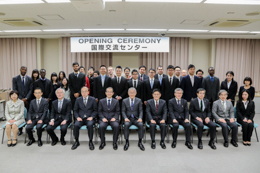 The opening ceremony of spring semester was held on April 7, 2015. Newly-enrolled students are 10 JUSST students*, 3 Japanese training course students* and 1 SwoB* students sent by Brazilian government. 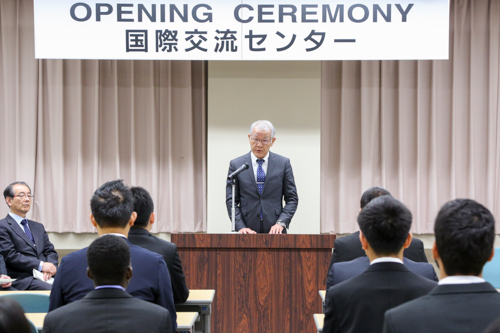 The president, Professor Fukuda expressed his welcome and told them the history of UEC.